Are you keen to raise awareness of prostate issues such as benign prostate disease and prostate cancer in your local area? Perhaps you want to organise an event or support fundraising events in your region? Why not become a friend of Prostate Cymru joining one of our friendship groups. At a Prostate Cymru Friendship Group you have lots of fun, make new friends and meet other interesting, community spirited people. You can choose to focus on the areas that you are interested in. This can include helping increase public awareness of prostate diseases, organising fundraising events, supporting fundraisers in the community and representing Prostate Cymru at local events and cheque presentations. You don’t need any experience, just enthusiasm and the willingness to meet up regularly to organise and support the activities within your area. Our team can help you set up your group using experiences of existing groups, support your fundraising ideas including publicising events and provide training and support to volunteers who would like to raise awareness. Our first Friendship Group, the Pembrokeshire Friends of Prostate Cymru, was formed in 2014 by the late Ray Williams OBE. The group regularly raise awareness in the county by providing awareness sessions for workplaces and clubs and attending community events to engage with the public. 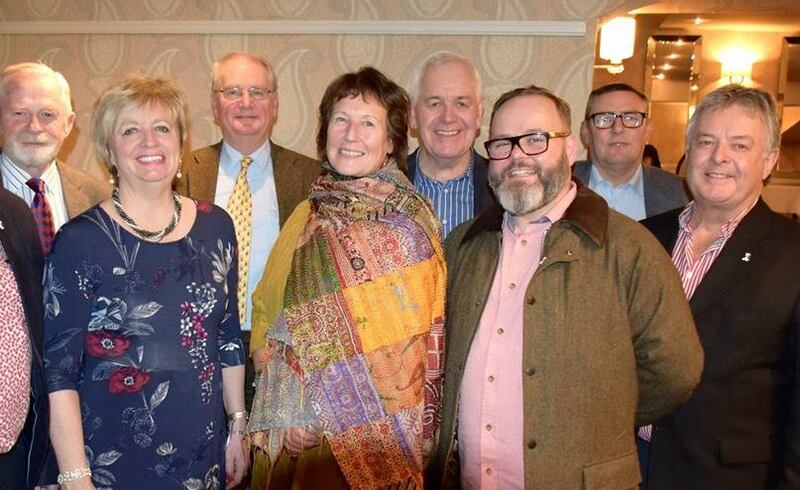 The Pembrokeshire Friends support numerous fundraisers and events by providing fundraising materials, publicising events, attending events and cheque presentations. If you are interested in joining a Friendship group get in touch! Email info@prostatecymru.com to register your interest. We are planning to set up the following groups this year: Bridgend, Cardiff, Carmarthenshire, Swansea, North Wales and a Ladies group. If your local county is not represented on this list and you would like to set up a group, please do not hesitate contact us – we’d love to hear from you!